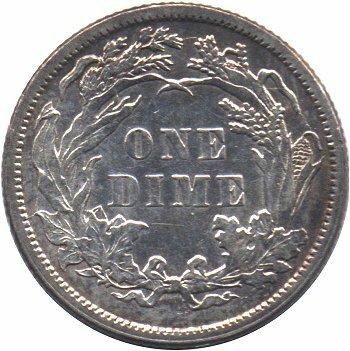 Comments: Obverse 9 is characterized by repunching within the inner left loops of the 6 digit. 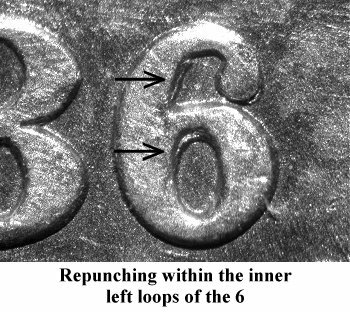 Traces of repunching can also be seen under the ball of the 6 digit. 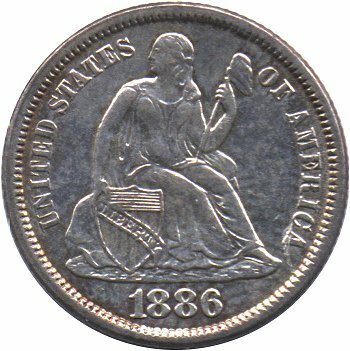 There are two diagonal die scratches within the shield. These scratches start below the LIBER(T)Y and move in a northeast direction into shield lines 11 and 12. 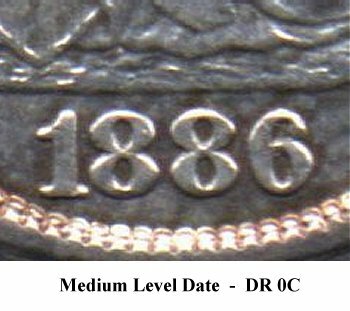 On Reverse I, die cracks are present in the typical radial pattern throughout the wreath.